Beyond the physical well-being of yourself, your family, and those closest to you, the vital information and electronic media attached to each of those people is among their most closely guarded — and most vulnerable — possessions. When Social Security numbers, bank and credit card data, even personal photos, videos and other documents fall into the wrong hands, the effects can be catastrophic. In the age of hacking and cyberthieves, a virtual private network (VPN) offers some of the most comprehensive peace of mind possible—so secure yourself and your family with TigerVPN coverage for a lifetime. In addition to its sale price, we’re even knocking another $15 off the price, down to just $34.99 from TNW Deals. TigerVPN cloaks and secures all of your online activities, making you virtually untraceable from crooks, eavesdroppers or government entities. Behind TigerVPN’s 256bit SSL military-grade encryption, your personal data and all of your browsing actions go undetected (even on public WiFi networks), all while maintaining unlimited access across the web with high speed service. TigerVPN also gets you around all the global copyright restrictions that can bottle up your favorite content. With TigerVPN, you can enjoy Netflix, Hulu or any content hub around the world from anywhere you are, without infuriating geoblocking getting in your way. It’s easy to set up and use, no matter whether you’re running on a Windows, Mac, iOS or Android operating system. 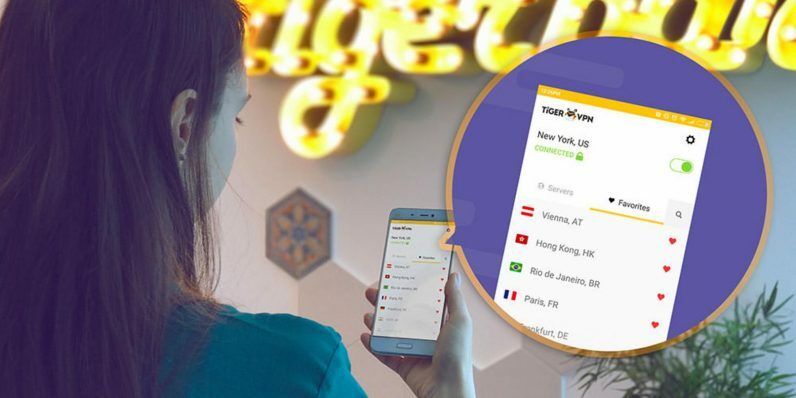 Right now, you can get a lifetime of TigerVPN (an almost $800) at one of its lowest prices of the year: only $34.99 before this offer runs out. Read next: Why don’t electric cars look like the future?